Saskatchewan wants the federal government to immediately oversee talks between grain and rail companies about getting grain to port, even as railways give assurances they will ramp up service. Economy Minister Bill Boyd recently led a delegation that met with Canadian National and Canadian Pacific rail officials to talk about ways to get a backlog of grain moving. 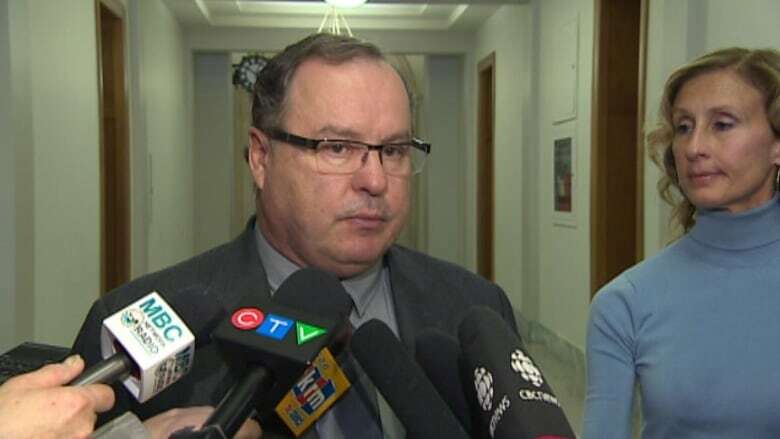 Boyd said Monday that the railway companies told him they're adding "thousands more grain cars per week" and will keep that up until at least December. Despite that, Boyd said there still need to be agreements, with penalties, for both grain companies and railways to ensure service levels. "Both of them were saying, 'Well, we're not sure the other side is willing to negotiate,"' Boyd told reporters at the legislature Monday. "So we think that there needs to be someone like the federal government overseeing those negotiations." A record crop is sitting in bins across the Prairies. Grain-handling companies have told Boyd that it may be well into 2015 before the backlog is cleared. Federal legislation allows a government arbitrator to decide if a service agreement between a shipping company and a railway has been violated, but grain handlers don't have such contracts. That means rail companies determine the level of service they're going to provide to grain companies and there are no provisions for penalties. Boyd suggested Ottawa could go further. "The legislation probably needs to be looked at to see if ... there needs to be any strengthening in that respect," he said. "There's some tools that the federal government has that could be used." Federal Agriculture Minister Gerry Ritz, who has characterized the rail service as abysmal, suggested all options could be discussed, but added that legislated solutions are not as good as market-driven ones. "As a government, we're always loath to regulate, but we will not let farmers and our global market stability be held hostage by unacceptable rail service. They're going to have to pick up their game in a big way," said Ritz, who held talks in Winnipeg on Monday with grain and rail companies. When specifically asked if Ottawa would oversee talks, Ritz said legislation already allows for those negotiations to take place. "They're not as prescriptive as some of the players would like, but at the end of the day, there's nothing stopping the grain companies and the railways from negotiating with reciprocal penalties as part of that contract. There's nothing stopping them from doing that now," he said. Ottawa already plans to keep closer tabs on rail companies by requiring them to report monthly on their performance instead of every three months. CN uses shorter trains during cold weather to ensure brakes can be used properly, which affects shipment capacity. According to CN spokesman Mark Hallman, the company's goal is return to more normal winter performance of 4,000-plus cars per week "as soon as extreme cold temperatures abate." CN has another 500 hopper cars coming on stream and it is lining up crews and locomotives for as many as 5,500 cars per week at country elevators once the Ontario port at Thunder Bay reopens, probably in early April, he said. "CN is doing its level-best to move this 100-year grain crop to export position and world markets," said Hallman. Ritz suggested the companies could have been better prepared. "Anybody who has lived in Western Canada for any number of years knows that this is always the norm when it comes to winter weather," said the minister. "They do have meetings around winter contingencies," Ritz added. "I have no idea what they discuss — whether they're discussing their golf game at those — but they certainly have no idea of what winter contingency is."